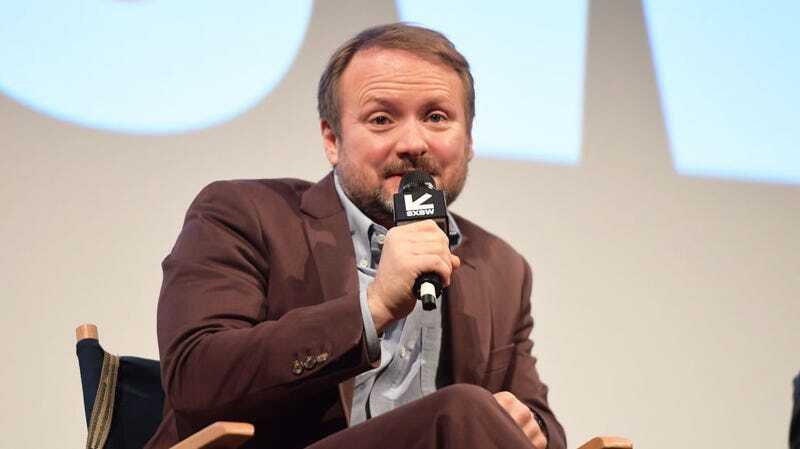 Last Jedi director Rian Johnson is a smart guy. So smart, in fact, that when he saw a faction of alt-right trolls launching smear campaigns against people in the entertainment industry, he took proactive measures to make sure they couldn’t mine any false outrage from his social media past. Specifically, he deleted everything on his Twitter account from before January 25th of this year, roughly 20,000 tweets, and robbed the trolls of their potential ammunition. This move comes one week after Disney fired James Gunn over a series of controversial tweets the Guardians Of The Galaxy director posted several years ago. These tweets, which mostly consist of Gunn’s attempts at shock humor and references to pedophilia, started making the rounds again thanks to conservative dingbats like Mike Cernovich and Jack Posobiec. Seemingly invigorated by the success of their smear campaign, this loose network of trolls have since attempted similar attacks on comedians Michael Ian Black, Sarah Silverman, Patton Oswalt, and Dan Harmon, who recently deleted his Twitter when an old Channel 101 pilot resurfaced showing the Rick And Morty creator sexually assaulting a baby doll. While Johnson’s tactic of deleting his old tweets and refusing to participate in the trolls’ game seems like a smart one, it could also be perceived as a preemptive admission of guilt. If Johnson has nothing to hide, why do anything at all? Alternatively, as feminist pop culture blog The Mary Sue speculated yesterday, this could be a mandate from Disney itself, who, having publicly capitulated to the demands of internet trolls, are now asking all major Disney employees to clean house before someone forces its hand again. Johnson himself refuted this speculation saying he doesn’t think he’s “ever tweeted anything bad,” but that deleting a bunch of random thoughts he shared publicly over the past nine years just seemed like the right thing to do in the current climate. “If trolls scrutinizing it for ammunition is the new normal, this seems like a ‘why not?’ move,” Johnson wrote. So, you know, let the past die. Kill it if you have to. Delete your old tweets. Or, better yet, delete the whole app. We promise you’ll be OK.